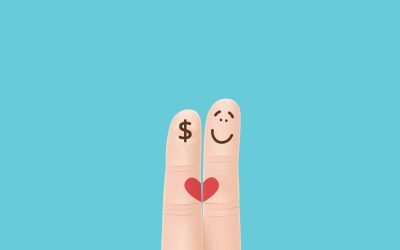 Since no one wants to talk about money, let’s do it here! 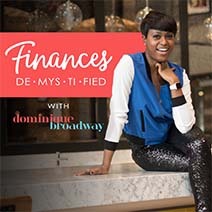 Tune in as Award-Winning Millennial Money Expert, Dominique Broadway provokes the conversation of money, demystifies your finances and shows you how to bring all of your Dreams2Reality, so you can live life on your own terms! Budgeting can be a tedious task, but if it can get you to a million dollar net worth status would you still not do it? Knowing the ins and outs of her money made all the difference for April Stewart, an engineer with a passion for personal finance. Driven by financial freedom from debts and mortgage that binded her since the age of 22, April Stewart hit a million dollar net worth by the age of 38! 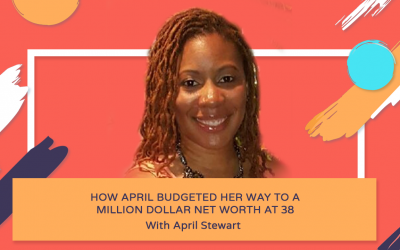 On this episode, April will share how she’s been able to her achieve her financial goals with budgeting, discipline, consistency and being focus. T-shirt businesses are one of the best online business now a days. First, who doesn’t love to wear t-shirts? Second, the start up cost can be really low (depending on how you manage your capital). But most of all, it is forever on trend! 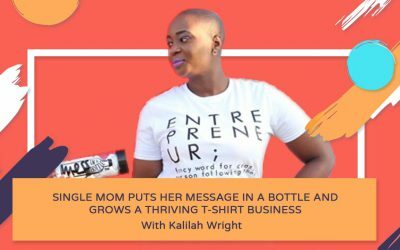 Tune in to this episode as Kalilah Wright, an entrepreneur from Baltimore and owner of Mess in a Bottle shares her ups and downs in starting and managing her own T-shirt company. Plus, get tips on how to start your own t-shirt business with little to no capital. Who knows, a T-shirt business might be your next #wealthbuilding business! To create your dream digital nomad life is to believe in ‘experiences over things’, but even experiences come with a cost. With the material things you acquired over the years that you will have to leave behind, not to mention, the traveling expenses, how can someone really shift to a digital nomad life? 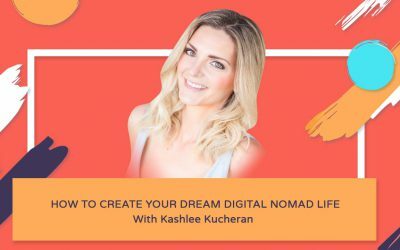 On this episode, we are with Kashlee Kucheran, a digital nomad, budgeting expert and serial entrepreneur. Kashlee left the corporate world of being a finance manager and Realtor in order to travel the world full time. Kashlee talks about how she and her husband embrace minimalism in their lives to start a freedom based lifestyle. Stock market trading isn’t as complicated as people think it is. The lingo can be confusing as hell but if you are willing and driven it could help you pay off your debts and make your dreams your reality. 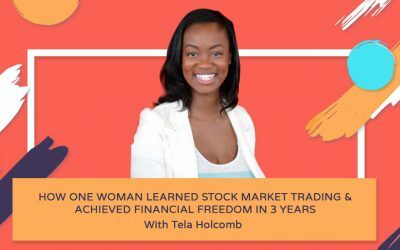 Tune in as Tela Holcomb, a mom, wife, six-figure stocks and options trader, 9 to 5 survivor, risk taker and freedom catcher shared the first steps she took to get started in stock market trading that doubled her retirement fund in 8 months. Tela now teach stock market trading in way you can easily understand. What is the recipe for success? To be an entrepreneur is to get out of your comfort zone and sometime it’s an understatement. You will go through a lot to attain success in entrepreneurship but your values and characteristics will take you there. 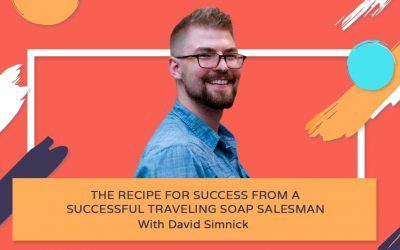 In this episode, we will hear about how David Simnick, CEO and co-founder of Soapbox and his team went through to get investors for their business; to not getting salary for the first years of their business; to hitting company money goals and finally making an impact. What does David Simnick and other successful entrepreneurs have? Find out by listening in. 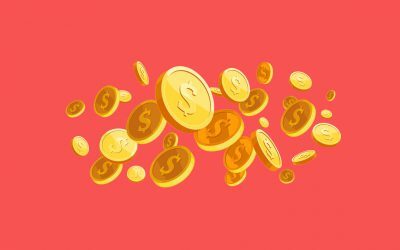 Real estate investing is another way for millennials to build their wealth other than the stock market and you don’t need to be ultra-wealthy to start. 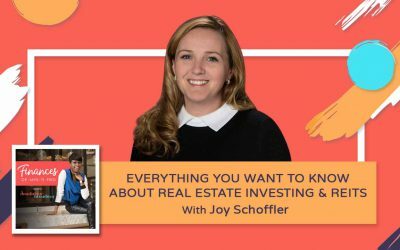 In this episode, Joy Schoffler, chief strategy of Upside Avenue and a leader in the financial technology community shares how she was able to take her family on an overseas vacation for a month for the last for 4 years, achieve a lot of her life goals and start one of Inc.’s 5000 fastest growing companies, by saving a little bit at a time and living conservatively. Get her pro tips on real estate investing and learn how you can start early as now. To retire early, travel the world, live abroad and keep a business is not what most of us were told to do. We were told to go to school, get a job, work for the next 34 years and then retire. Rachel Hill, on the other hand, retired from the corporate world at the age of 27 and travel the world. 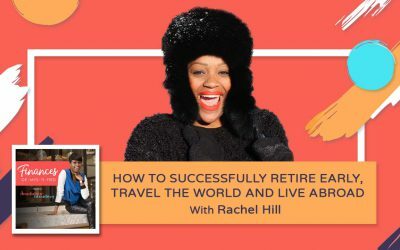 Tune in to this episode and be inspired as Rachel Hill, a travel influencer and digital marketing strategist shares her experience on how she retired at the age of 27 and financially prepared herself to live abroad. A lot of us are eager to get into the world of Real Estate Investing, however the term itself, intimidates many of us before we even begin. With all the terminologies, processes and trends coming up where do we really start? 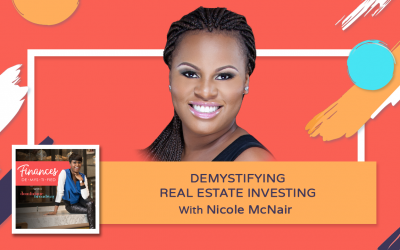 Nicole McNair joined us today to help us finally demystify Real Estate Investing as she simplifies the terms and the process for us. She is a Washington DC based Real Estate Investor & licensed General Contractor and has been investing in real estate for close to 15 years. She is now holding REI mentorship program that guides one through the process of becoming a Real Estate Investor and will soon to launch her book, Demystifying Real Estate Investing. Have you ever got that moment where you want to quit your job and be an entrepreneur? 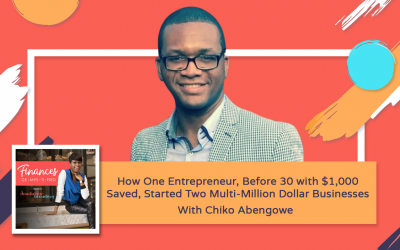 Chiko Abengowe, a millennial millionaire give in to that moment and quit his job at the age 26 with a thousand dollar savings to start his multi-million dollar companies, Perfect Staffing and Perfect Office. In this episode, Chiko will share his experiences on how he got started, what were his past struggles as a thriving entrepreneur and how the decision to start a business early made the biggest difference in his life. Introducing the Finances De•mys•ti•fied Podcast!